IAM RoadSmart, or the IAM/Institute of Advanced Motorists as it was formally known, is the UK’s biggest independent road safety charity – having spent more than 60 years making the roads a safer place for all. Whose mission is to make better drivers through the hard work of volunteers and experts, coaching and education is offered to drivers in the hopes of drastically reducing the amount of accidents, allowing for safer roads for all, and improving the overall experience of driving. It has been proven that IAM training courses improves a wide range of road skills, including safe speeds and distances, cornering, overtaking, gear-changing, and observation, anticipation and awareness. Since its formation in 1956, the IAM has now equated over 90,000 members, who have all passed their advanced test in a car or motorbike. The IAM also help businesses with staff development in becoming more confident, better and more reliable drivers, even providing e-learning courses and seminars. You may have seen IAM out and about this year at car shows and events, spreading their message through the media and on the road has highlighted their charity work to a much larger audience. 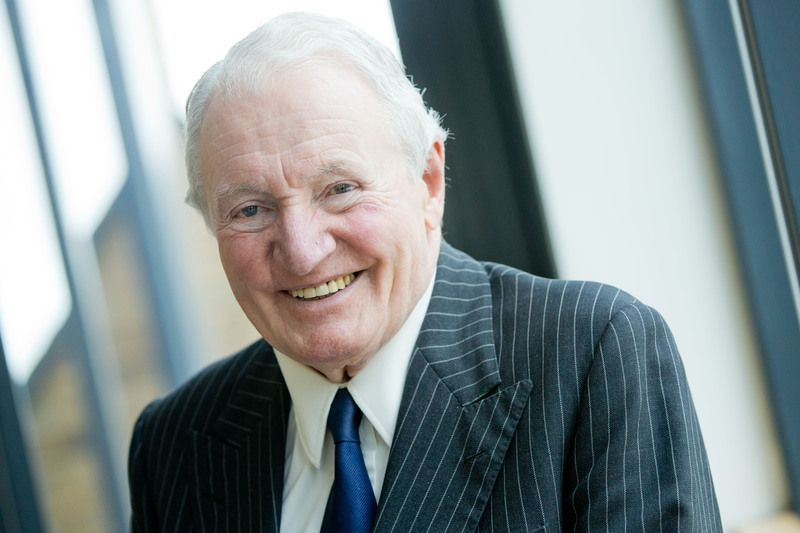 At such events you may have notice our very good friend and rally legend Paddy Hopkirk! Older drivers are statistically less likely to commit a motoring offence than those in their teens and 20s and are less likely to be in a serious or fatal road accident. In 2014 the IAM RoadSmart discovered that while 36,001 people between 20 and 30 were disqualified from driving in the previous 12 months, just 10,025 people in their fifties and just 3,874 drivers in their sixties. 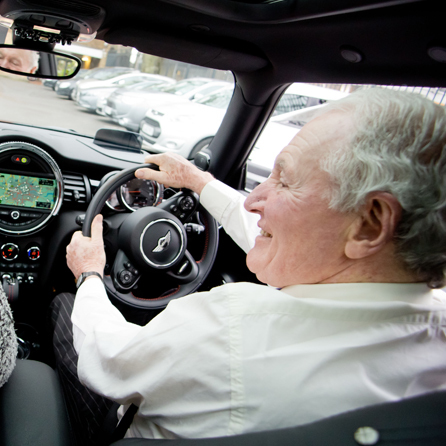 However older drivers face certain challenges such as coping with reflexes that are not as keen as before, deteriorating eyesight or hearing, and the potential onset of Alzheimer’s disease and dementia. IAM RoadSmart believes enlightened policies and practical actions are needed to help older drivers keep safe and competently mobile for as long as possible, and to help them decide when the time has come to stop driving. Giving up driving too early places a direct burden on health and other services, which can no longer be independently accessed. The Mature Driver’s Assessment is a 60-minute one-off session in the driver’s own vehicle administered by a qualified assessor. The assessment gives an overview of any areas of the candidate’s driving that might need improving as well as any areas of concern. There is no pass/fail rating at the end, but every candidate is given a written report of how they have performed. Paddy himself has taken the Mature Driver’s Assessment and was relieved to find he had faired extremely well in it. Paddy added: “Everyone can be a better, safer driver – even someone who has won races and rallies. Paddy stated, “I’ve always said rallying is all about the ability to control the car, not just the speed of it. These are skills that can translate easily to driving on road. You need to get to know your car – how it will act and react if you encounter unexpected conditions.” Since the end of his active motorsport career, which includes five starts at the Le Mans 24 Hours and five Circuit of Ireland rally wins, Paddy has continued to be involved in the motor industry. He has run a successful car accessories company, and has promoted the MINI for many years as one of its best-known drivers. He has also appeared on numerous television shows celebrating his race and rally achievements over the years. IAM RoadSmart can be helpful for any age group, not just mature drivers, and are even offering courses on alcohol awareness that will certainly provide vital information this festive season. We couldn’t be happier to be supporting Paddy and his role with IAM RoadSmart a fantastic, worthwhile cause which benefits ALLroad users. For more information about the IAM’s Mature Driver’s Assessment please visit the official IAM RoadSmart website here or for information on how to become a member, please see here.